With wins against the Pacers and Celtics, respectively, both the Nets and Magic with make the 2019 NBA Playoffs and end two of the three longest playoff droughts in the Eastern Conference. The Nets had not made the postseason since 2015, when they were led by Joe Johnson, Deron Williams, and Brook Lopez, while the Magic had not been to the playoffs since 2012 when they were led by All-NBA first team center Dwight Howard. The Knicks now have the longest playoff drought in the East, having not made the playoffs since 2013. The star of this year’s Nets’ squad, first time All-Star point guard D’Angelo Russell, credits his teammates with helping his club get back to the postseason for the first time in four years, writes Greg Logan of Newsday. Meanwhile, the Magic will also earn a Southeast Division title, the team’s first in nine years. 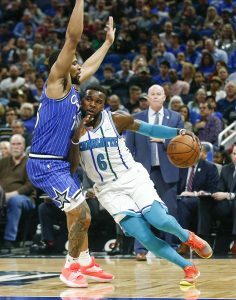 Their leader, another first-time All-Star in center Nikola Vucevic, is proud of his team’s fight and toughness both this season and through the hard times in seasons’ past, writes Roy Parry of the Orlando Sentinel. The Hawks can make Anderson a restricted free agent if they extend a $3.62MM qualifying offer. Anderson hasn’t given them much incentive to do so since they acquired him in an offseason trade with Philadelphia. Anderson is getting fewer minutes off the bench than ageless wonder Vince Carter, with under six minutes per game in seven March appearances. A recent report indicated that the Hawks would be aggressive in free agency. Renouncing Anderson’s rights would give them more elbow room to pursue top-tier players. It’s rare when NBA players are claimed off waivers. Mack proved to be an exception after the Grizzlies traded him to the Hawks last month, who weren’t interested in retaining his services. The Hornets were looking for some insurance behind backup Tony Parker, but Mack has been mostly a spectator. He’s appeared in just three games since the waiver claim after receiving steady minutes on Memphis’ second unit. Mack will be shopping around for a one-year minimum deal once again this offseason. The Heat have an August 1 deadline to guarantee Jones’ $1.645MM salary for next season. Considering that Jones is a young rotation player, that would seem to be an easy decision. Jones remains a work in progress offensively but advanced metrics indicate he’s making a defensive impact. His Defensive Box Plus/Minus rating, according to Basketball-Reference is a solid 1.4. 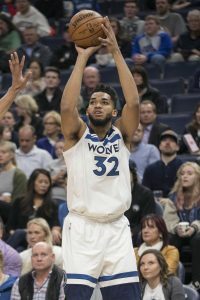 Jones is shooting 49% from the field, mainly due to the fact that 54% of his attempts have come within three feet of the basket. He’s averaging 21.5 MPG in March, a sign of trust from coach Erik Spoelstra. There have been conflicting reports whether Dallas will make a big push for Orlando’s big man this summer. No doubt, there will be a market for Vucevic’s services. He’s averaging career highs of 20.6 PPG and 12.2 RPG in his walk year and coach Steve Clifford adds that Vucevic essentially gives the team “two point guards” when he’s on the floor. Vucevic isn’t considered a defensive stalwart but his Defensive Box rating this season is a career-high 3.7. Vucevic won’t get a max-level offer but he’ll be making a lot more than $12.75MM next season. Dekker could be a restricted free agent this summer if the Wizards extend a $3.91MM qualifying offer. That’s not going to happen, as Dekker hasn’t been any better in Washington than he was in three other NBA stops. The 18th overall pick in the 2015 draft has made 33 appearances with the Wizards since he was acquired from Cleveland in early December. He’s averaging 5.9 PPG in 15.4 MPG, but shooting just 29.4% from deep and 51.6% from the foul line. Dekker’s expectations should be modest in the open market. Nikola Vucevic is in his seventh season with the Magic and he has yet to see the postseason with the club. Orlando entered the day just one game behind the Heat for the eighth spot in the Eastern Conference. Vucevic, who made his first All-Star game this season has been a major reason why the playoffs are in reach. The big man prides himself on his consistency. 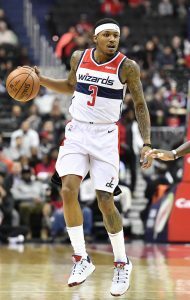 The Wizards have yet to rule out Dwight Howard out for the season, though head coach Scott Brooks says the big man isn’t over his injury woes yet, as Candace Buckner of the Washington Post passes along on Twitter. “He’s still getting his work in — the hamstring problem has not turned the corner,” Brooks said. Gordon Hayward remains in the early stages of the league’s concussion protocol, Chris Mannix of Sports Illustrated tweets. Coach Brad Stevens called Hayward doubtful for the Celtics‘ game on Wednesday but left the door open for him to play on Saturday against Charlotte. Magic center Nikola Vucevic praised Mavericks star Luka Doncic following their game on Friday, noting how impressive it is for Doncic to have such a high basketball IQ at just the age of 20. Vucevic, who’s in the midst of his best NBA season to date, will become an unrestricted free agent on July 1. His close relationship with Doncic could give the Mavericks an edge if they pursue Vucevic in free agency, especially if the Magic were to give an underwhelming offer. “I got to know him a little bit at the All-Star game and when we played in Dallas – and also at the European championship, that’s where I first met him,” Vucevic said of Doncic, as relayed by Brad Townsend of the Dallas Morning News. “I’m happy to see him do well. He’s a great kid and a great player and I’m very excited for him. I have to say, I didn’t expect him to play this well, this soon, as a rookie, especially a guy from Europe. But he’s been playing amazing. Obviously I always knew he would eventually get there because he’s very smart and with his skill-set and his I.Q., I know there’s really nothing he can’t do. The Mavericks’ first priority this summer is to re-sign restricted free agent Kristaps Porzingis, but Vucevic has been identified as a possible outside target. The veteran center is averaging a career-best 20.6 points, 12 rebounds and 1.2 blocks in 31.3 games with Orlando this year. Mavs forward Dwight Powell could be a keeper for the club in the coming years, team play-by-play announcer Chuck Cooperstein said this week on ESPN Dallas 103.3. Powell has improved his three-point shooting and play-making since entering the league, with the 27-year-old holding a $10.2MM player option for the 2019/20 season. He’s averaged a career-high 9.8 points in 61 contests this season. Plenty of teams are hoping for the chance to sign Giannis Antetokounmpo. The Warriors, in particular, have thought about pairing him and Stephen Curry should Kevin Durant leave in free agency, Marc Stein of the New York Times writes in his latest newsletter. Antetokounmpo would have his pick of suitors on an open market, but as Stein notes, the Greek Freak may never make it to free agency. Antetokounmpo loves Milwaukee and the Bucks have to feel they have a chance at getting him to sign a super-max extension with the team during the summer of 2020—a year prior to him hitting the open market. Yet, the Warriors will always swing big if given just the tiniest of chances. Antetokounmpo and Curry have selected one another first overall in back-to-back All-Star drafts and the two share a mutual admiration for each other, Stein notes. The Mavericks‘ interest in Nikola Vucevic may be overstated, Stein hears, adding that he doesn’t get the sense that Dallas will pursue the big man. The Mavs were rumored to have interest in Vucevic as a free agent target this summer. While Anthony Davis is back on the court for the Pelicans after last week’s trade deadline drama, things don’t look quite right in New Orleans. On Tuesday night, the Pelicans were run off their home court by the Magic, suffering a 118-88 loss to a team outside the playoff picture in the East. It certainly seems possible that Davis’ trade request and all the speculation about his future continues to impact the Pelicans’ performance on the floor. Head coach Alvin Gentry was in no mood to have that discussion though, as Martel relays. In a column for The Advocate, Scott Kushner argues that the Davis saga – particularly his return to the court – has been a “prolonged, smug jab at the intelligence of Pelicans fans.” In Kushner’s view, the Pelicans and Davis are no longer invested in one another, and the team should either stand up to the NBA by benching Davis or have someone from management or ownership publicly address the situation. Grizzlies point guard Mike Conley appeared likely to be traded leading up to last week’s deadline, and admitted that he had trouble sleeping and checked his phone “a thousand times,” as Royce Young of ESPN.com details. Conley, who described Thursday as a long, emotional, and difficult day, has been fairly quiet on the court since the deadline, scoring 11 points on Saturday and then missing Tuesday’s game with an illness. In advance of Jonas Valanciunas‘ debut with the Grizzlies on Tuesday, David Cobb of The Memphis Commercial Appeal explored how the team’s newest big man would fit in. The plan is for Valanciunas to come off the bench behind Ivan Rabb, but if he keeps playing like he did last night (23 points and 10 rebounds in 21 minutes), that plan may be short-lived. During a radio appearance on KESN-FM 103.3 ESPN in Dallas, Bobby Marks examined how the Mavericks might use their cap room this summer after moving Harrison Barnes, suggesting that Nikola Vucevic will be among Dallas’ top targets (link via The Dallas Morning News). The Mavs’ interest in Vucevic was previously reported.